Emergency services were called to the incident at around noon on Monday April 8, when a number 64 Moffat and Williamson bus was travelling east through the village. The 82-year-old woman, who was a passenger on the St Andrews to Glenrothes bus at the time, sustained a serious head injury as the vehicle braked to avoid a collision. She was rushed to the Victoria Hospital in Kirkcaldy. But tragically, she passed away in hospital during the evening of Thursday April 11. 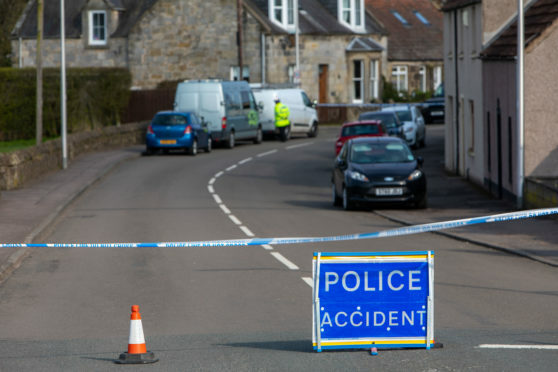 Sergeant Nicola Young from Fife’s road policing unit said: “This has been a tragic incident which has resulted in the loss of this woman’s life. As police inquiries continue, the sergeant thanked the passengers on the bus who have come forward and assisted officers with the investigation. The police had earlier appealed for seven passengers to contact officers.